Right now, it would have to have been a feat of superhuman abilities to be able to get to this point and not have come across some mention online of Samsung’s unfortunate decision to recall all shipped Galaxy Note 7 handsets following the reports of devices catching fire and, sometimes, exploding. With Samsung, understandably, not wanting anyone to get hurt, the company has halted shipments of its latest flagship smartphone and is initiating a recall of all handsets that are already in the hands of users. While the Galaxy Note 7 has not been available for purchase for all that long right now, plenty have already found their way into the hands of buyers and that means a full-scale recall is required. If you own a Galaxy Note 7, you’ll probably need to know what to do next and how to go about returning your device to wherever you bought it from. We’re going to tell you just that, and so long as you bought your Galaxy Note 7 in the United States, we think we’ll have the main sources of purchase covered, from Samsung itself to all major mobile carriers. Samsung has issued a statement explaining that it will be recalling the Note 7 stock from the market and that customers who’ve already purchased the handset will be able to replace it with a new one “over the coming weeks” via its Product Exchange Program by calling 1-800-SAMSUNG. If you use this program, you can either exchange your current Galaxy Note 7 with a new Galaxy Note 7 when its available in coming weeks, or exchange your current Note 7 with Galaxy S7 or S7 Edge with a refund of the price difference between devices. If you opt for using Samsung’s Product Exchange Program for a Samsung device replacement instead of asking for a full refund, you will also get $25 gift card from Samsung. Verizon customers have been told that they can return the Note 7 without issue, with Verizon waiving the restocking fee through September 30. “Because customer safety is our top priority, Verizon has stopped selling the Galaxy Note 7,” the carrier went on to say via a statement. Verizon is certainly far from unique in that fact, however. To return your Note 7 and get a full refund, simply visit your nearest Verizon store. Anyone who bought a Galaxy Note 7 from Sprint should visit their local Sprint store in order to initiate a return of the offending device. Sprint will apparently offer a “similar device” to use while you are sans-Galaxy Note 7, too. There’s been no word on how long that might be for. Put simply, AT&T just wants you to return everything. Pronto. Samsung has notified us that they have identified a battery cell issue in certain Galaxy Note 7s. They have asked all retailers, including AT&T, to stop selling the device. Because safety is our top priority, customers are strongly encouraged to exchange the Samsung Note 7 for a new device. Customers with a Note 7 may select a new smartphone, and may also return any Note 7 accessories. T-Mobile has confirmed that it will offer full refunds, including for any accessories bought at the same time as the Galaxy Note 7. Those who need to initiate a return can do so via a T-Mobile store, or by calling 1-800-937-8997. 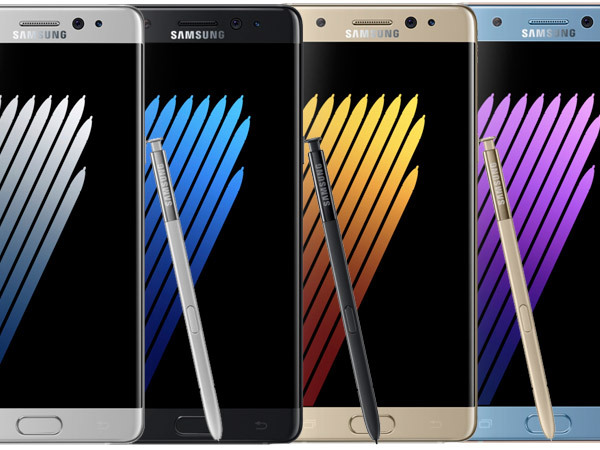 If you bought your Galaxy Note 7 from a third-party seller such as Amazon or Best Buy, then we suggest contacting your retailer in order to request the best course of action moving forward. No seller offers returning the Note 7 and replacing the device with the new iPhone 7 Plus + $200 compensation ? Remember, the $900 Note 7 lags badly behind the iPhone SE in performance. The best thing to do is to wait for the iPhone 7 announcement on Sep 9 but most likely the apple display won’t be a 2k display like the note 7 which will determine people minds . The display is crucial to many and the design is also a big factor meaning Apple would have to counter back with edge to edge glass or curve edge but I doubt Apple will counter back as they have a history of always making it look the same . 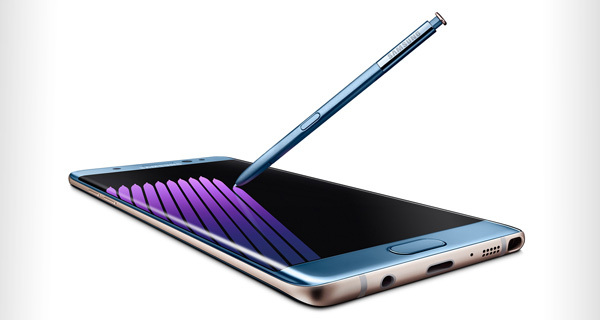 Also the note 7 has some extra things that win people over to make them feel that there device does more like wireless charging , waterproof, built in stylus pen , sd card unlimited storage, heart rate sensor , iris scanner , and the most important reason no jailbreak required and no need to use a laptop and use iTunes all the time like using zedge for your ringtones. The jailbreaks now are semi tethered which require to run a app after rebooting your device and only a one year certificate sounds like Apple is eventually going to stop the mouse . There is no OFFICIAL recall, just PR propaganda. No one can detect the difference between 720p and 2K display on a 5-6″ smartphone . 2K-4K is just a hype. Sounds like a true iSheep who still worships SJ. Obviously, you never used a current Samsung Galaxy phone. Note 7 is not all about speed. It’s all about features, functions and multitasking, Note 7 is not for everyone. I have owned a lot of phones and my Note 7 is the best phone I have ever owned. I told Verizon I will risk fire to keep my Note 7 until they start replacing Note 7s with Note 7 replacements. I just keep it near me while charging and if I have to leave it while charging, I use the wireless charger. I was just told at T-Mobile that their “loaner phone” was a whole new contract and that I can Jump back to the Note 7 when they are rereleased, without having to pay off half of the loaner. But I was shocked to find out that the payments you make on the loaner will not carry over to the Note 7. I’m not returning mine yet and will keep an eye on it while it charges because there is no way I’m paying for a phone I don’t want for how ever long it takes for the Notes to be rereleased. Let’s just say it takes two months to fix. I would have paid $60ish on the loaner that im not gonna get back and when I get the Note 7 again I’ll have to start the contract all over again. So instead of having 9 months left to pay off half, I’m back to 11 months.